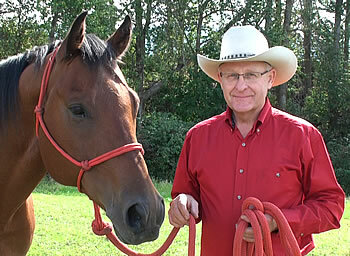 Dave Collins is the Founder and Principal of the British Columbia College of Equine Therapy. Dave holds certificates from the Northern Institute of Physical Therapies of Blackpool England and the Western College of Remedial Massage Therapies, Regina, Saskatchewan. He is certified by the London and Counties Society of Physiologists (L.C.S.P. Phys. ), Alberta Remedial Massage Therapy Society (A.R.M.T.S.) and the Association of Remedial Massage Therapists and Wholistic Practitioners. Dave is also a certified Touch for Health (T.F.H.) and Emotional Polarity Therapy (E.P.T.) practitioner. As anyone who has had horses knows, mysterious lameness or problems sometimes appear. Having had his share of these, Dave searched for ways to deal with them. Thus he applied his expertise as a farrier, breeder, showman and therapist to the horses and developed his present program. His present practice is large and varied, encompassing all disciplines and breeds of horses. Realizing the awesome potential of a more rounded treatment program for our equine athletes, the need for more qualified people was evident. In 2003, Dave published a saddle fitting DVD which you can check out at www.saddlefitting.ca. In his spare time, Dave enjoys riding and camping in the back country.